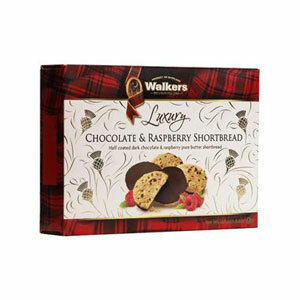 Enjoy this delightful combination of raspberry shortbread and rich dark chocolate. 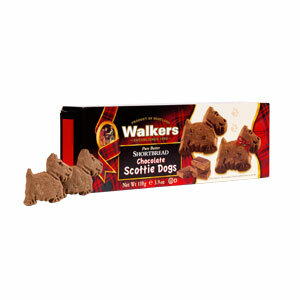 From Walkers, of course! 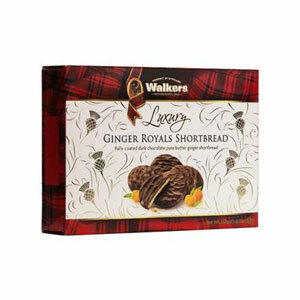 You will love this new flavor of shortbread from Walkers - tangy raspberry bits are baked into the shortbread and then the base is dipped in dark chocolate. This is going to be your new favorite - as the sample boxes here were eaten in record time with smiles all around! Store in a cool dry place. 5.6 ounce box holds 12 special cookies. Ingredients: dark chocolate 52% (sugar, cocoa butter, cocoa mass, emulsifier, soya lecithin, natural vanilla flavoring), wheat flour, butter (14%), sugar, dehydrated raspberries(4%), glucose fructose syrup, sugar, citric acid), natural raspberry essence, salt. Wonderful! I've ordered it a few times.